Bringing awareness and a path to recovery to those suffering from an addiction to Opioids. 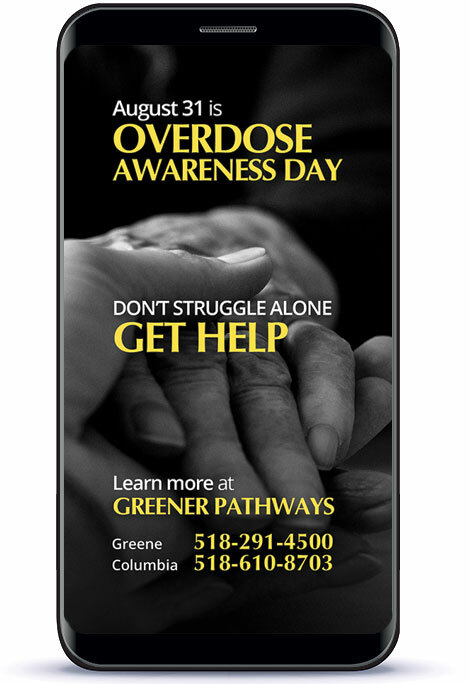 Greener Pathways is a new organization that came to KathodeRay to engage families and individuals who are suffering from opioid addiction through a variety of programs. 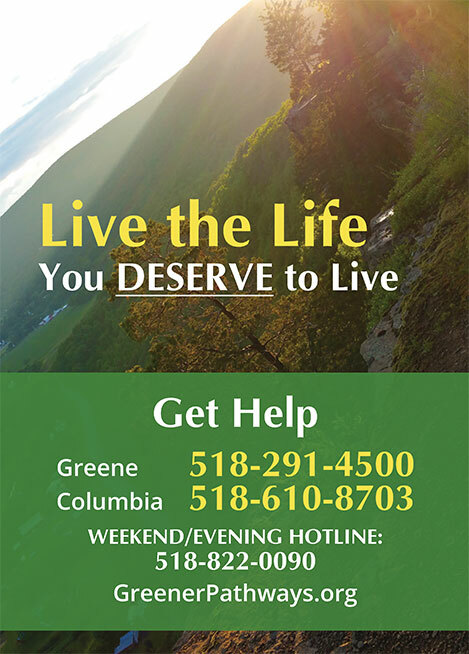 Greene County has the third highest rate of opioid-related deaths in New York State, so our community-awareness messaging focuses on recognizing the signs - If you or someone you love suffers from addiction, help is just a call (or click) away at www.greenerpathways.org. 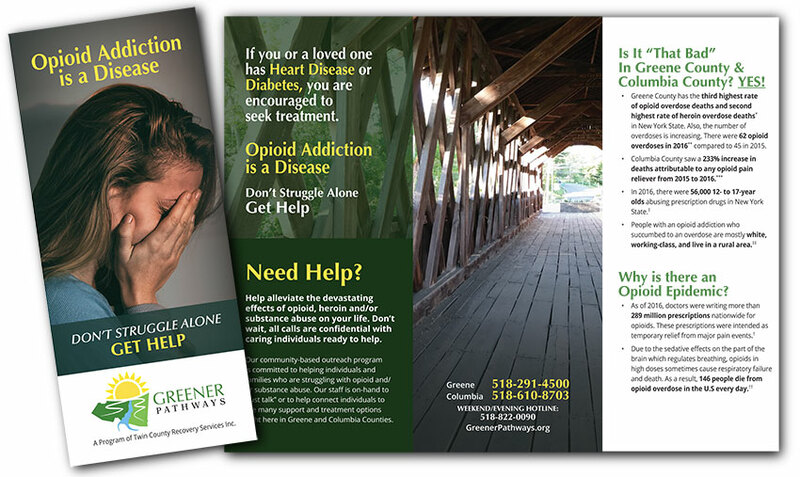 This trifold brochure is distributed throughout Greene and Columbia Counties. On August 31st this ad was viewed 6,100 in Greene & Columbia counties. A parallax website is used to impart accurate information information and to measure results for all digital (including social) ads. Palm Cards are very effective when distributed by First Responders.